A mainstay of Miami’s shopping scene, especially for those who prefer something different than the mall, Miami Twice is a great place to shop for vintage goods. 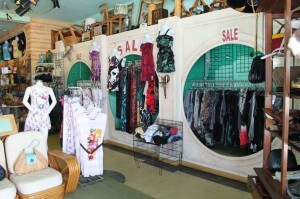 The store is packed with wares and accessories not easily found, rare gems that can make a wardrobe unique and different. Think great dresses and shoes from the early 1900s to the 1980s. They’ve also got modern designer duds and purses. They’re jewelry, especially brooches and costume pieces, as well as vintage shoes and purses from classic eras are all the rage here. It’s a fun experience walking into this place and browsing through their merchandise, whether it’s for just looking or actually buying. A stop in Miami is worth a trip here. Hey, they’ve been in business a quarter of a century, they’re definitely doing something right.